If you’re working in a new niche you may be under threat from similar startups who have also gained an understanding of your new niche. They may be outsourcing some of their tasks to speed up their development. If you are thinking about starting your own business or you have a business already it may be that you want to work quickly and spend a little extra cash to get those difficult to do tasks completed with efficiency and professionalism. More often than not your business will require speedy completion of tasks to get ahead of competing businesses and outsourcing could be the solution. It may be that you are willing to do the same. 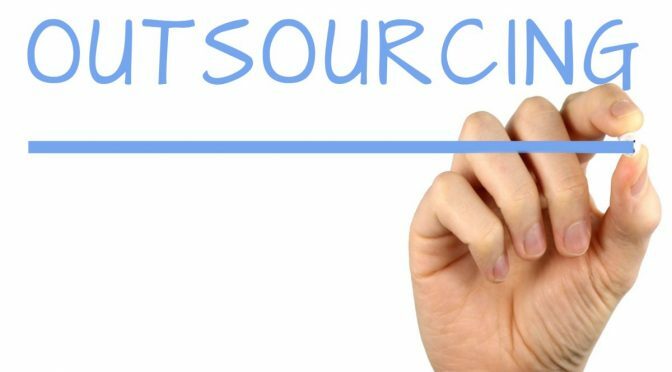 If so, here are some tips on how to outsource efficiently, as well as some examples of businesses that have succeeded through making use of outsourced services. What sort of funding do you have? How long can you take to get your product or service launched? 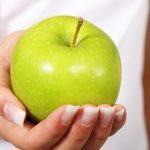 Are there any disadvantages to outsourcing? When you are first starting out, you will want to hire talented individuals with expertise in their required fields. It would normally be considered more efficient to hire an individual and to train them. Allowing them to grow along with your business will mean that they will gain a better understanding of their role and the wider goals of the business. Resulting in a more efficient situation for both the employee and the employer. However, it’s not always that easy. Hiring talent is very expensive and the more specialist and experienced an individual is, the more that they will cost to maintain. You should always look after your employees if you want the best out of them. In reality we can’t always hire who we want, sometimes the talent isn’t available and as aforementioned it can often be expensive. 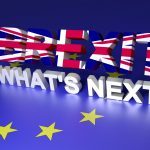 So what should be done instead to get specialist work done without hiring? The answer may be outsourcing. Outsourcing constitutes the purchasing of external services from a third party, to aid with business growth and practice. This is often an alternative to hiring talent directly under the employment of a business. Although often shrouded by controversy, it’s important to understand that almost every business will need to outsource services at some point in its lifespan. There are efficient ways of doing so. I can’t talk too much about specific services as every business varies but there are a number of services out there that are required by almost every operating business. Will you have issues with cash flow if you outsource specialist services? You may need to asses you finances to see if outsourcing is the right option for you. 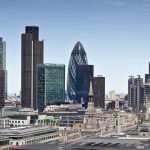 Most services will charge on a monthly basis, whether that is a quarter or half term the reality is that paying for a great external service may require paying out large sums. Running into issues with cash flow can cripple your business and leave you, your employees and customers in a bad way. On the other hand consider if you have enough cash to hire the services via an internal employee. Essentially, try to understand if you can save time and effort by hiring directly rather than using an outsourced service. If you do decide to outsource, let’s say a developer for example, you will have to understand that they don’t work for you directly. Asking them to work like they do will not be possible, as they will have to spend time with their other clients too. Once you are happy with their work it may be that you hire an internal developer to continue where they left off. If that is the case, remember that it will take them time to transition between the work that was done by the external developer. The type of work you outsource and its immediate relationship with your business should be a factor in deciding how you hire the related services. More often than not an outsourced service will be cheaper but try to hire these specialists for one off tasks. Maintaining use of an outsourced serviced will not be beneficial in the long run. If you are going to need a job doing for an extended amount of time it’s usually recommended to invest in your own people. How long can you take to get to your product or service launched? Often times running a business can be demanding, none more so than when going out alone. If you have researched your niche and are working to build a business in an untapped or emerging market place it’s more than likely that you will run into direct competition and speedy development could become the fundamental factor that determines your success. 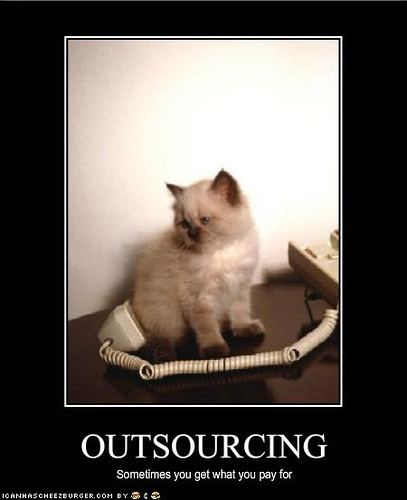 If that is the case outsourcing could be extremely beneficial. Many successful businesses have be launched on the back of outsourcing. Slack, a business recently valued at $3 million, initially grew their business off the back of a outsourced service. If you find yourself in a race consider that you may need to get to market first. You will be beaten out if your competitors outsource and you don’t. It can be crucial to determining your success. In a previous article Top 5 business tips (for Startups), I highlighted a company called Eve Sleep. A brand new business developing comfortable mattresses. Their CEO, Jas Bagniewieski faces a tough competition with a number of new mattress brands appearing since his initial success. A perfect example of a niche business sector currently undergoing a race for expansion. Getting setup quickly and using your funding to power through the competition is great if you can afford it, and doing so you will most likely find benefits to outsourcing in that case. If you are building a brand new app that’s never been done before, the chances are that outsourcing programmers will not be an option for you. Keeping your idea safe will be a top priority and the type of application you develop may require ground-breaking design in which case you will need to hire someone you trust and keep them working for you internally. It’s important to consider what type of business you are running and unloading the right tasks in the right places should be something that you consider very carefully. What types of services and can be outsourced? 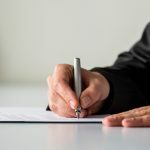 Again it’s important to note that every business is different but there are number of services that are going to be a mandatory requirement for a new or established business. 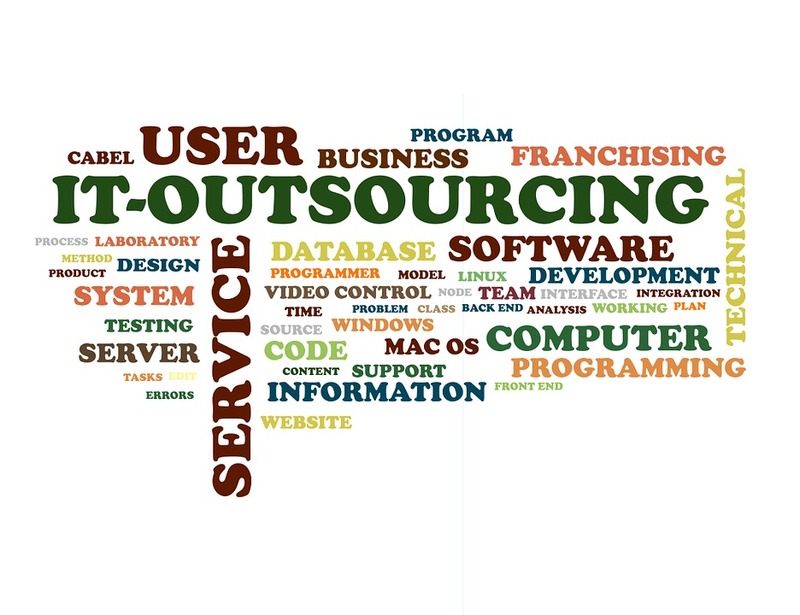 These are just some of the services you may end up outsourcing. However, it’s very likely that you require these and more. So consider which of these tasks can be handled by yourself or by your team, for how long and for how much. If you can’t complete these tasks then look to outsourcing but shop around and find the best service you can, that is both well priced and trustworthy. If you require repeat work, taking the time to consider your options will pay off in the future as there can be devastating setbacks if you hire the wrong company to aid your business. Outsourcing is usually a very strategic and considered decision by business owners. Taking the option to outsource needs to be a carefully considered decision because there are often risks associated with choosing to do so. A business usually makes use of outsourcing when the resources and skills aren’t available internally. Nearly all businesses will need to consider outsourcing at some point during their operations. A loss of control. You may need a specific task outsourced whilst you build the funds to hire internally. This may include administrative tasks, such as telephone answering or you may need design work and web-development, if you run your business from an online platform. Most of these tasks are on-going and you risk losing control over these specifics if you choose to outsource. A common example is when a business hires a coder, or developer to maintain a website of application. 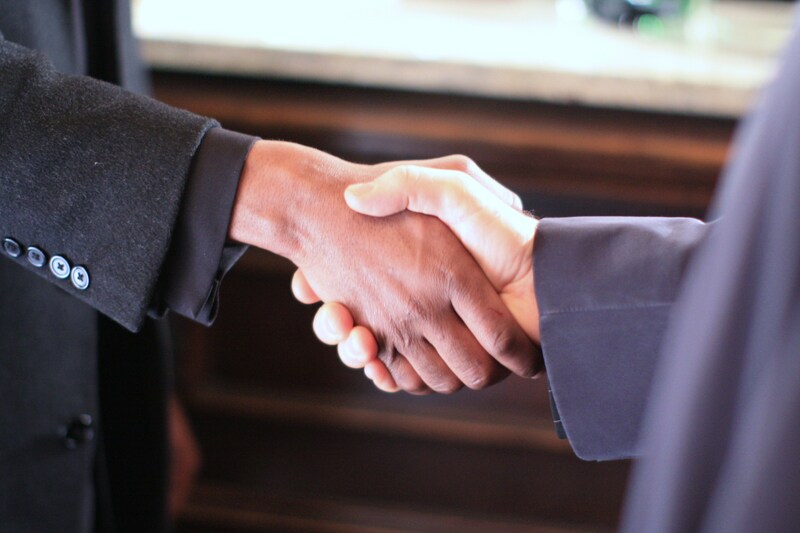 You may be able to make use of an external business to handle that side of the development, knowing that you will require additional work in the future means that the company you choose to outsource to will need to be trustworthy. More often than not a development company may move there efforts to aid another client and leave you in dust with no help to develop or maintain your service. If this happens you can see a loss of productivity and you may have issues with the platform that require immediate attention. You could be left to find a new outsourced service or to hire internally at which point you will need to train the new employee and give them time to catch up on the existing work. This type of sudden change can be devastating in the early start of a business and this type of issue is more common than you might expect. 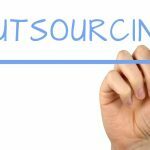 Its these sorts of issues that have lead to a distrust of outsourcing and why most companies take the time to carefully consider whether outsourcing is the right option. Examples of where outsourcing may be useful could be on-going services like a virtual office or mail forwarding service, these tasks can be outsourced cheaply and free you your time to manage your business without the need to sort your mail or wait around for deliveries. You may also require on off design work for a specific campaign that you are running, another example of where outsourcing could be a better option than hiring internally. Whether your business is still an acorn of an idea or a fully functional organisation, the need for businesses to make use of outsourcing will not diminish anytime soon. You may be able to take advantage of experts who work virtually or be lucky enough to have the funds to hire talent. Outsourcing though, will never be outdone for the cash it can potentially save a business owner. Not only will you be able to keep costs down but the need to train and spend time with those individuals, you would have otherwise employed, will be drastically reduced. Meaning you will have more time to work on the important things your business requires from the day-to-day. Read our previous article, How A Virtual Office Can Help You (Run Your Business From Home).